Published: by Post Books, Bangkok. Gen Prem said he decided to forego the traditional reception at his Si Sao Theves residence for well-wishers on his 88th birthday next Tuesday when top military leaders and senior police officers usually turn up at his residence to convey birthday greetings. ''The situation in the country is still not good,'' he was quoted as telling a military staff officer to notify leaders of the armed forces. The source said the reasons for his decision not to hold the usual reception were the chaos in the country due to political problems, disunity, continued rallies by the anti-government People's Alliance for Democracy and ongoing violence in the South. In addition, the country was busy in preparation for the cremation ceremonies for Her Royal Highness Princess Galyani Vadhana. The source said Gen Prem did not want to be viewed as supporting certain military officers ahead of the upcoming annual military reshuffle. Privy Council president Prem Tinsulanonda called on the media to bring out the truth to public and keep the countrys interest at heart. Gen Prem stressed that the public should not work for the benefit of any particular groups. He added that they should know what to do to help restore peace in the country. He also said that Their Majesties the King and Queen are the father and mother of the nation, thus the Thais should think carefully what they should do to repay them. Top military brass, senior police officers and interior ministry staff visited privy council president Gen Prem Tinsulanonda on Thursday morning ahead of the Songkran Day holidays. From his Si Sao Tewes residence, Gen Prem gave his blessings and urged all military officials to set up a good example for the public by showing co-operation and learning how to forgive. He also underlined the importance of being true to oneself and to the country and to heed His Majesty the Kings advice. Chief royal adviser General Prem Tinsulanonda yesterday dismissed speculation that he was involved in the seizure of power on September 19, 2006. Privy council President Gen Prem Tinsulanonda has praised Prime Minister Surayud Chulanont for all his "hard work and determination" in trying to set the country on the right path towards democracy. Gen Prem also expressed belief that His Majesty the King, who is currently at Siriraj Hospital where he is recovering from medical treatment for a condition known as cerebral ischemia, is concerned about the welfare of all Thais as well as the problems that they face. Gen Prem then spoke about his concern for the country, saying he wished all sides could work together for the sake of the nation. The country's political landscape will be clear after the constitutional referendum next Sunday, says Privy Council president Prem Tinsulanonda. Gen Prem Tinsulanonda is considering whether to take legal action against the United Front of Democracy Against Dictatorship (UDD) for defamation, said a source close to the Privy Council president yesterday. The source said Gen Prem was compiling evidence and would soon decide whether or not to file defamation charges against nine key anti-coup figures. His move comes after the UDD staged an anti-coup rally outside Gen Prem's Si Sao Thewes residence on Sunday. The protest culminated in violent clashes between demonstrators and police. The UDD leaders, comprising mostly executives of the People's Television station (PTV) and former members of the disbanded Thai Rak Thai party such as Veera Musikhapong and Jakrapob Penkair, have strongly criticised Gen Prem for allegedly engineering the coup d'etat on Sept 19 last year which toppled the government of Thaksin Shinawatra. They also demanded Gen Prem resign as Privy Council president. ''Gen Prem is still undecided. He is considering whether to sue them [key figures in the UDD] for defamation,'' the source said. ''If Gen Prem decides to proceed against them, he will certainly make the decision known to the public,'' he added. Gen Prem yesterday gave an interview to reporters for the first time since the demonstration on Sunday, after presiding over an event on counter-corruption organised by the Royal Irrigation Department at Amporn Gardens near his Si Sao Thewes residence. Gen Prem said he had not been demoralised by the UDD's criticism of him but he was concerned about the ongoing political problems facing the country and wanted peace to be restored. ''I have been working a lot for the good of the country and I will continue to do so until the last day of my life,'' he said. The source said Gen Prem was not receiving anyone who wanted to give him moral support for the time being, after Prime Minister Surayud Chulanont and Council for National Security chairman Gen Sonthi Boonyaratkalin visited him on Monday. Leaders and company executives who overlook principles of moral integrity could cause damage to society as a whole, Privy Council president and statesman Prem Tinsulanonda said. He was speaking yesterday at a seminar on morality also attended by Privy Councillor Kasem Wattanachai and Prime Minister Surayud Chulanont. Gen Prem urged everyone to recognise the significance of morality and spread the word as often as possible. People should set a good example for children to follow and be brave enough to come forward to distinguish good deeds from bad, he said. Privy Council president Prem Tinsulanonda yesterday called on cavalry commanders to restore peace in the country and be single-minded in their resolve. Himself a cavalry man, Gen Prem made the call to 84 commanders who converged on his Si Sao Teves residence for traditional New Year wishes and blessings. ''The present situation is tough,'' he said. ''But it's a good opportunity for us to show that we are soldiers of the nation, of His Majesty the King, that we will not deflect or stand by idly, that we will do everything to bring peace and happiness to the country,'' he said. ''That sacrifice of everything to show gratitude to the motherland is a New Year joy that soldiers will bring to the people, for the people and His Majesty the King,'' Gen Prem added. Supreme Command chief-of-staff Gen Songkitti Chakkrabat led the cavalry commanders from across the country in commending Gen Prem for his sacrifices and in pledging that they would carry out their duties for the nation. The group included former classmates of deposed prime minister Thaksin Shinawatra at the Armed Forces Academies Preparatory School who have been transferred to non-command posts. Among them are Lt-Gen Sanit Prommas, former commander of the 2nd Cavalry Regiment who is now a special adviser to the defence permanent secretary's office. Also in the group was Lt-Gen Pirun Phaewpolsong, a special adviser to the Office of the Supreme Commander (OSC) who earlier was deputy commander of the OSC's Armed Forces Security Centre. Prem said he was not as happy this year as in other years because the situation in the country was not normal. He added that 2007 will be a tougher year for all military men as they have to help keep peace in the country as well as carry out their normal duties of protecting national sovereignty and the monarchy, and engaging in development work. In private conversations with a few cavalry commanders later, Gen Prem also urged them to do everything in their power to protect the people and the country, a source close to him said. Gen Prem visited all the armed forces and made keynote speeches during the months of tension which culminated in the coup d'etat of Sept 19, which overthrew the Thaksin government. Meanwhile, Gen Prem's secretary, Vice-Admiral Pachun Tampratheep, said Gen Prem remained on good terms with former prime minister Gen Chavalit Yongchaiyudh, who has been critical of the Council for National Security (CNS) and the interim government of Gen Surayud Chulanont. 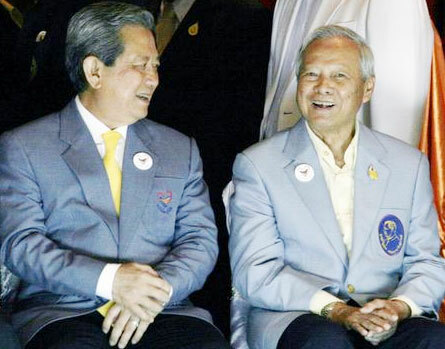 ''Lately, they have talked over the phone more often as they have something to discuss in their collaboration for the country,'' Gen Prem's secretary said. ''But as to what they discussed, that is their affair,'' added Vice-Adm Pachun. The two former prime ministers have worked closely on national issues for a long time, he said. Privy Council president Prem Tinsulanonda yesterday denounced those behind the New Year's Eve bombings which took the lives of innocent civilians. Gen Prem yesterday broke his silence about the eight city bomb blasts in front of leading armed forces and police authorities, provincial governors, local leaders and businessmen who visited his residence in this northeastern province to pay their New Year respects. The former prime minister criticised the bombers for causing damage to the country to advance their own interests and those of their cronies. ''They are low-life people because they could kill three people they never knew,'' he said. ''If they do not like the government, the CNS [Council for National Security] or me, they should go after the right targets, not innocent people. ''Those bombers are crazy,'' he said. The blasts also injured 42 and so far no one has claimed responsibility. 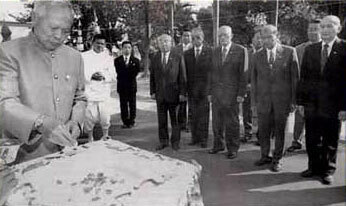 Prime Minister Surayud Chulanont and CNS leaders doubt southern insurgents were the masterminds. Their main suspects are people linked to politicians who lost power and want to discredit the coup-makers and the government. Gen Prem called on provincial governors and opinion leaders in local areas, including monks and teachers, to use their positions to help local people understand the intentions of the bombers and efforts of the government to protect the national interest. Privy Council president Prem Tinsulanonda has warned the members of the National Counter Corruption Commission (NCCC) about being tricked by money and women into betraying their integrity. Women were being used as a tool to lure some commissioners into negligence of duty when they came to considering the cases of some corrupt politicians or senior officials, Gen Prem said. Prime minister was willing to step in and take up the running of the country at a 'critical moment in its history' Privy Council Presi-dent Prem Tinsula-nonda yesterday likened Prime Minister Surayud Chulanont to Britain's wartime premier and statesman Winston Churchill for selflessly taking up the leadership challenge under trying times. "Churchill spoke about sacrifice that showed that he had to sacrifice for the country. Surayud is like Churchill in becoming the prime minister without any design but doing it for the country," Prem said. Political leadership should be about suppressing self-interest rather than amassing power to satisfy greed and temptation, said the chief adviser to His Majesty the King, drawing on the experience of Churchill. "Churchill is the embodiment of sacrifice as he was tasked to lead England during World War II," Prem said. Dire circumstances saw Churchill taking up the prime minister's mantle, while Surayud was appointed premier amid the despair of social division. "I believe both Churchill and Surayud did not expect to assume power but were willing to serve the motherland," he said. World War II broke out because no more than 10 people were obsessed with power and tried to conquer the world, he said, quoting Churchill. While here, turmoil erupted because of runaway power. He was speaking on the topic of political development and reconciliation at King Mongkut's Institute of Technology Lat Krabang. Prem touched on the characteristics of a national leader, saying he must maintain high morals, understand public problems and know how to solve them, persevere with an athlete's spirit and not allow himself to succumb to power and avarice. "Leaders must not be obsessed with power and cling to it. They must know the word 'enough' and appreciate the King's sufficiency economy philosophy. All these qualities of good leaders will unify the nation." 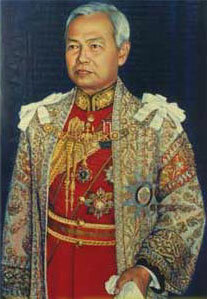 He reiterated he was confident Phra Siam Thewathirat, the Guardian Spirit, was watching over the country. "Phra Siam Thewathirat will curse bad people to their end and to meet grievous suffering for the rest of their lives," he said. "Don't panic. Nothing is exciting!" "It's inevitable for any leaders to lose power one day"
Privy Council president Prem Tinsulanonda said Mr Meechai Ruchupan was an ''ace legal expert'' and honourable person who would be a ''good president'' of the NLA. Privy Council President Prem Tinsulanonda Tuesday voiced support for the government's plan to revive two agencies in charge of tacking southern violence, which were dissolved by the previous government. Prem said the Southern Border Provinces Administrative Centre and the joint Civilian-Police-Military Command 43 were two agencies, which were working well in solving the southern problem. The dissolution of the two agencies was blamed for the resurging of violence in the deep South. Prem said if the government adapts the two agencies to fit with the current situation, they should be able to tackle the problem. "Phra Sayam Thewathirat always protects good people and condemns bad people"
Privy Council president Prem Tinsulanonda yesterday obliquely likened the ousted former prime minister to Adolf Hitler when he issued a stern warning against exploitation of national resources for personal benefit. In a lecture to medical students at Chulalongkorn Hospital, he emphasised the importance of national unity. ''World War Two occurred because of Adolf Hitler and only a few syndicates who were holding on to power to rule the world. Our country also has such people,'' he said. ''But the nation is sacred. People who think of using it for personal or group benefits will end in misery because Phra Sayam Thewathirat [the country's guardian spirit] always protects good people and condemns bad people to ceaseless suffering,'' he said. Privy Council president Gen Prem Tinsulanonda will not be receiving the People's Alliance for Democracy and an anti-Thaksin network led by Sungsidh Piriyarangsan at his residence on Saturday, Gen Prem's secretary, Vice Admiral Pachun Tampratheep, said yesterday. 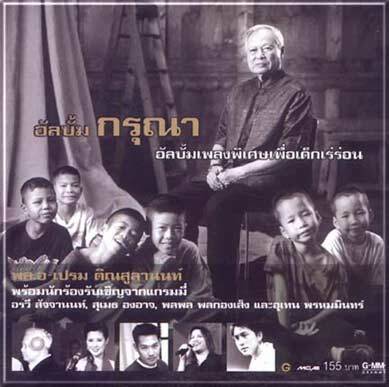 He said Gen Prem does not need any encouragement from the PAD or the network. Vice Adm Pachun said Gen Prem will be busy on Saturday. The elder statesman also will not accept personally a letter of support from the groups because doing so would be inappropriate for him, given his status as Privy Council president. According to Vice Adm Pachun, Gen Prem said he already had plenty of moral support and did not need any more. Two of the four senior military officers facing investigation after they petitioned Privy Council president Prem Tinsulanonda against alleged political meddling in this year's military reshuffle submitted additional documents to Gen Prem yesterday. The two who called on Gen Prem yesterday were Air Vice-Marshal Prasit Tananakin and AVM Surakit Jantasen. The other two petitioners are Lt-Gen Witsanu Prayunsorn and Rear Adm Itthichai Sripan. AVM Prasit said the documents submitted to Gen Prem yesterday contained the opinions of former election commissioners, academics and legal experts, all of whom agreed that once a royal decree calling a general election took effect, the caretaker government must consult the Election Commission (EC) prior to ordering appointments or transfers of senior state officials, including military officers, in an annual reshuffle. He said the government should heed the opinions of these legal experts, adding that he did not want to see this year's military reshuffle run into trouble like what happened to the government's bid to privatise the Electricity Generating Authority of Thailand, which was subsequently nullified by the Administrative Court. However, caretaker Defence Minister Thammarak Isarangkura na Ayudhaya yesterday said there was a cabinet resolution which exempted the reshuffle of senior military officers and public prosecutors from being subject to prior consultation with the EC. AVM Prasit also said the petition submitted to Gen Prem was a personal plea for the elder statesman to help stop political meddling. It was not a formal petition, he said. Gen Thammarak on Thursday ordered a disciplinary investigation of the four senior officers, accusing them of bypassing normal military procedure for petitioning against a superior officer outside their agency. AVM Prasit also denied that Bannawit Kengrian, deputy defence permanent secretary, was behind the move to petition Gen Prem for help. Adm Bannawit is a contender for the post of defence permanent secretary soon to be vacated by Gen Sirichai Tunyasiri. Disasters always befall people with ill intentions of exploiting the nation for their own benefit, Privy Council president Prem Tinsulanonda said yesterday. He made the remarks to conclude a 40-minute lecture at the Air Force Academy attended by a 640-strong audience including senior air force officers. ''The nation is sacred. People who think about using it for personal benefit or group benefits will be met with misfortune,'' said the elder statesman. ''Phra Sayam Thewathirat (the nation's guardian spirit) always protects good people and condemns bad people to a life of suffering,'' Gen Prem said. The remarks, shown on a projector screen, were seen as a curse on bad people. That they were put into writing was thought to add to the effect. Gen Prem noted that paying respect to bad people was more dangerous than ignoring good people. ''There are more dangers in paying respect to bad people because it means we're part of their bad conduct,'' he said. Gen Prem also recalled the royal advice on honesty and avirodhana, or adherence to righteousness _ the 10th duty of Dasa Rajadhamma (10 duties of leaders), which served as a foundation for all good conduct. He also emphasised his earlier message that one should not kowtow to anyone simply because they were rich. 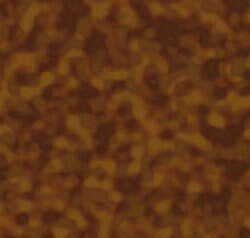 ''We should consider how they have amassed wealth and if it is through moral means or corrupt means. We distinguish who we should respect and who to avoid,'' he said. The topic of ethics and morality has dominated his lectures given previously to the army, and at the Naval Academy and the Chulachomklao Royal Military Academy. He said he always discussed the matter of professional soldiers because he wanted to make sure that soldiers understood their roles and duties. Gen Prem was yesterday accompanied by former supreme commander Gen Mongkol Ampornpisit and two former air force chiefs ACM Paniang Kantarat and ACM Kan Pimarnthip. Privy Council president Gen Prem Tinsulanonda yesterday refused to be drawn over the suggestion by a group of 100 ''grassroots'' people that he could help save the life of caretaker Prime Minister Thaksin Shinawatra. Gen Prem said he was not disturbed by the group's call. ''I'll hold on to the dharma principle that we shouldn't bother to react to any false story. It's because I haven't done anything wrong. And I've never planned to do anything bad. 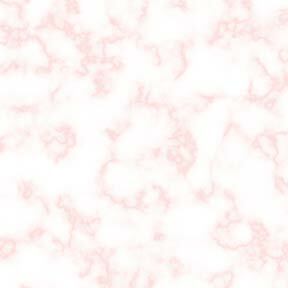 Sometimes, we just have to tolerate things and remain indifferent,'' he said. A source at Gen Prem's residence said the group of 100 people who claimed to be Mr Thaksin's grassroots sympathisers yesterday seemed to try to link Gen Prem with the recent alleged bomb plot near Mr Thaksin's residence. ''They apparently tried to draw Gen Prem into the dispute,'' said the source. 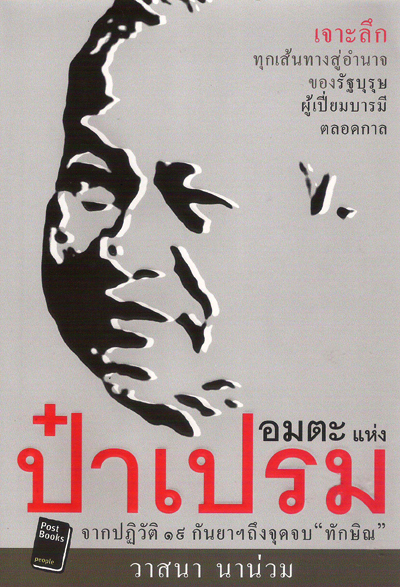 It is Gen Prem's 86th birthday today. As usual, he opened his residence yesterday to welcome well-wishers - mostly leading military and police figures. The group that called itself the Grassroots Group arrived at his residence in 10 mini-buses. They handed a letter addressed to Gen Prem to his secretary, Pachun Tampratheep, asking Gen Prem to help save Mr Thaksin's life and bring peace to society. Most in the group were men seemingly under the influence of alcohol. 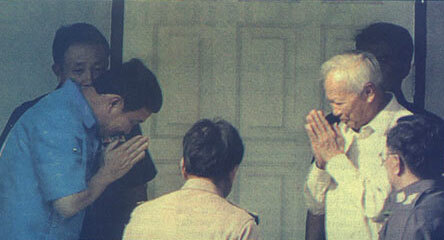 Vice-Admiral Pachun said he wondered why they came to give the letter to Gen Prem. ''What do they want? Is there any hidden agenda? I expect these people won't even remember who brought them here after they sober up,'' he said. Addressing top military officials who came to wish him a happy birthday, Gen Prem said leaders must live a life that set a good example for their followers. Leaders must foster harmony and unity among the people they lead. ''I say this because I think it's time to warn you guys,'' Gen Prem told the group led by caretaker Defence Minister Thammarak Isarangkura na Ayudhaya. Privy Council president Gen Prem Tinsulanonda yesterday poured scorn on money politics, saying leaders won't be able to solve national problems unless they set their hearts on the task. The elder statesman mentioned no names in his speech to open a seminar marking the 58th anniversary of Chulalongkorn University's faculty of political science. Gen Prem cited poverty across the country and violence in the deep South as problems that could not be solved without love and dedication. "To solve national problems, especially difficult ones such as poverty and unrest in the three southern border provinces, if we have neither love nor goodwill for the poor, and neither love nor goodwill for people in the three southern border provinces, but only use money and what is stylishly called 'strategies', it will be hard to succeed," said Gen Prem, a former army chief and prime minister, as he outlined what he called the nine paths toward successful leadership. The other "paths" he mentioned included adherence to a single standard of lawfulness and legitimacy, application of Buddhist principles, observance of Thai identity, and a broad-minded attitude to what is fair and just. Gen Prem also stressed the need for leaders to be righteous, ethical and honest. They also must make sacrifices, believe in loyalty, and do good deeds for their motherland. "Ask yourself what you, as a Thai, have done for the good of our country and what you have done that is bad for our country. Promise to yourself that you will protect this land in accordance with your duties and responsibilities, and then you will not do anything that will damage Thailand," he said. Gen Prem told reporters afterwards that the higher a leader stands, the more he has to be strict with himself. But he refused to comment on the current political situation in the country. PATTANI - Privy Council president Prem Tinsulanonda led a delegation of senior officials to visit the insurgency-plagued region on Monday to make merit and meet local authorities and religious leaders as violence continues unabated in the region. Accompanied by Commander-in-Chief of the Royal Thai Army Gen. Sonthi Boonyaratkalin, who has recently been assigned to oversee the security operations in the violence-torn area, Gen. Prem is scheduled to make merit to mark the 60th anniversary celebrations of His Majesty the King's accession to the throne through cash donations to 10 temples and mosques in the three southern border provinces as well as Satun and Songkhla provinces. Privy Council president Prem Tinsulanonda yesterday led all key past and present army top brass at an event at their former school, in what was seen as an attempt to show the unity of the army. Gen Prem did not talk to the press during his participation in the 119th anniversary of the Royal Military Academy in Muang district of the central province of Nakhon Nayok. It was the first time for a few years that he had joined the event, and sources close to him said the former prime minister's decision to go this year was aimed at fostering unity, amid reports of attempted political interference. Though Gen Prem kept quiet, army chief Sonthi Boonyaratkalin told reporters the presence of all officers would remind them of the old days in the school where they stayed together, so they would realise the importance of unity. Unethical leaders should have no place in Thailand, Privy Council president Gen Prem Tinsulanonda said yesterday. During a special lecture given to 350 naval cadets and some high-ranking navy officers at the Naval Academy in Samut Prakan yesterday, Gen Prem said it is important for national leaders to have ethics and morals. "Only good people have ethics and morals. Bad people don't. People who work in public office or those who are commanders and leaders, in particular, must embrace ethics and morality otherwise things will collapse. There will be corruption, favouritism, nepotism and greed if leaders lack ethics and morals. "Individuals who have no ethics and morals are bad people who are full of greed. They may want to live comfortably with a lot of money. But if they have acquired wealth through illegal or unethical means, they no longer deserve to be in this country," said Gen Prem, a former prime minister. He also reminded the navy officers that they "belong to" His Majesty the King and the country, and not to the government. Their foremost loyalty should always lie with the country and the King. "In my lecture to army cadets two weeks ago, I told them about who owns the soldiers. This time, I have to make it clear again that we soldiers belong to the country and to the King. A government supervises soldiers in compliance with the policy declared to parliament only," said Gen Prem, adding that he was referring to a government in general. In his special lecture to some 950 cadets of the Chulachomklao Royal Military Academy at Khao Cha-ngoke, Nakhon Nayok province, on July 14, Gen Prem touched on the issue of where the loyalty of military officers should lay. He likened the government to a jockey and soldiers to horses, saying jockeys come and go, but the owner of the horses stays the same. Gen Prem was accompanied to the Naval Academy by three former chiefs of the navy - Adm Chumphon Patjusanon, now also a privy councillor, Adm Prasert Bunsong and Adm Prajet Siridej. He told the gathering to respect good people and shun those who get rich through illegal and unethical means. "Some social values are wrong. For example, people respect those who have money without caring whether they have acquired it through ethical means or not. We should not wai individuals who make money illegally. Samlor (tricycle) and taxi drivers are more respectable than those individuals," he said. Gen Prem urged the navy officers to follow the good examples of Adm Chumphon, Adm Prasert and Adm Prajet - professional soldiers who kept their distance from politics. He also quoted US Gen Douglas MacArthur's famous line, "Old soldiers never die," to remind the officers that they should strive to be professional soldiers. A source said Gen Prem was invited by the three armed forces to give his special lectures. A lecture to air force officers is scheduled for next month. Privy Council chairman Gen Prem Tinsulanonda yesterday likened the government to a jockey and soldiers to horses, saying the jockeys come and go, but the owner of the horses stays the same. In a special lecture to around 950 cadets at the Chulachomklao Royal Military Academy (CRMA) in Khao Cha-ngoke, Nakhon Nayok, Gen Prem said the soldiers belonged to His Majesty the King, not a government. Pattani  Privy Council chairman General Prem Tinsulanonda yesterday rejected the National Reconciliation Commission's proposal that Yawi, or Malayu, be used as a second official language in the three southern most provinces as part of a wider strategy to bring peace to the region. Privy Council Chairman General Prem Tinsulanonda Friday urged all sides to apply the lessons of His Majesty the King's speeches, especially on the self-sufficiency economy, to solve the country's poverty. Prem gave a speech at a seminar hosted by the Foundation for International Human Resource Development on the creation of a learning society according to His Majesty the King's initiatives and his self-sufficiency philosophy. His Majesty had been talking about the "New Theory" for more than 20 years but people at the time gave little interest, as they were keen on becoming a newly industrialised country, he said. Now people had turned to and become confident in this theory, which had never been out-of-date and would remain applicable in the future, he said. "Even United Nations Secretary-General Kofi Annan, who conferred the Human Development Lifetime Achievement Award on His Majesty on May 26, said at the Foreign Affairs Ministry that if human development meant to prioritise people, nothing was greater than development according to His Majesty's guideline," he added. As the country's greatest problem was poverty, using the self-sufficiency economy theory would help solve it, said Prem. Thailand's senior statesman and Privy Council president, General Prem Tinsulanond on Friday urged all parties to make peace with one another and use the traditional Thai New Year to turn to each other for national harmony. Speaking after he cast his advance vote for next week's Senate election at Bangkok's Dusit district, the highly-respected former prime minister gave blessings to well-wishers, urging the public to use this special occasion to come to terms with each other to settle all disputes. "This year is different from previous years as the country is in need of love and unity. The Songkran festival is an appropriate occasion for people to turn to each other and help solve the country's problems," General Prem said. "I urge all sides to sacrifice and use love and harmony to end the national problems for the sake of national interest." Statesman and Privy Council chief Gen Prem Tinsulanonda will keep his Si Sao Theves residence closed even to top military leaders during this year's Songkran festival, a source said yesterday. Gen Prem will return to his home province of Songkhla on April 12-13 to pay his respects to his late parents and ancestors. 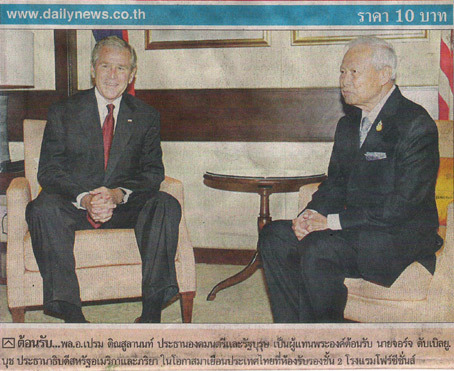 "Given the current political situation, Gen Prem thinks it would be improper to open his residence. Politics is in a state of chaos," said the source. According to the source, Gen Prem is concerned that his speech, usually made during the traditional meeting, might be exploited. "And military leaders' neutrality is being questioned. First they were okay, but now they're not quite politically neutral," said the source. Statesman and President of the Privy Council Gen. Prem Tinsulanond believes the country's political situation now will begin to improve. Responding to journalists' question whether he viewed the country's political situation would improve from now on, Gen. Prem, who is also a former prime minister, said briefly: "I think so." He also expressed his optimism that peaceful order would return to the Thai society in time for state and royal events to be organised in June to celebrate the 60th anniversary of His Majesty the King's ascension to the throne, and asked journalists to play their role in helping bring peace and order back to the society. "I pray for that. You all should also help restore peaceful order in the society in time for the auspicious events," the head of the Privy Council told journalists. Gen. Prem's remarks followed caretaker Prime Minister Thaksin's decision to step down from office Tuesday evening. 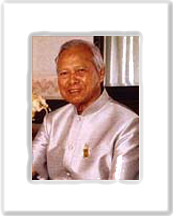 On Saturday March 25, 2006 Privy Council President General Prem Tinsulanonda cast his vote in advance for the April 2, 2006 snap election. He also urged voters to go and exercise their voting right. Statesman and Privy Council chairman Gen Prem Tinsulanonda will today join together with public organisations in the restive far South to declare their intention to fight the insurgency in a bid to bring back peace to the region. Statesman and Privy Council chairman Gen Prem Tinsulanonda has urged the military to do its best to bring peace back to the South and to stay out of politics. He also lauded the police for their improved performance during the tenure of national police commissioner Pol Gen Kowit Wattana. 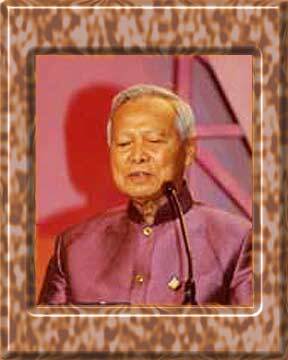 Statesman Gen Prem Tinsulanonda yesterday revived the King's famous quote reminding people to stick to moral principles, and suggested weeding out the ''bad eggs'' responsible for deep-rooted corruption. Doing good deeds in a society filled with wealth-oriented values is very hard to achieve, Gen Prem said. Privy Council chairman and statesman Gen Prem Tinsulanonda has advised Muslim orphans in the deep South to come to terms with the deaths of their parents, stay focused on their studies and learn the Thai language so as to instil in themselves a love for their country. ---By WASSANA NANUAM, Bangkok Post, July 30, 2005.